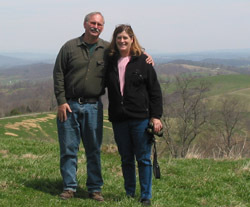 Richard Grist and Paul Grist at Foxfire Mountain Properties in Lewisburg, WV are extremely knowledgeable when it comes to marketing farm properties.Richard and Paul are very professional, honest people with a strong selling record and we felt very comfortable enlisting them to sell our family farm. Since we live out of state it was very helpful that they were always readily available to answer our questions and address our concerns. Richard and Paul visited our farm several times to get just the right pictures which helped showcase the property in a very appealing and effective way. Richard and Paul gave us top quality service in the overall process and assisted in the timely settlement due to their ability to research and map old deeds and settle questions of boundary locations and rights of way. We highly recommend their expert ability to market family farm properties. Dear Richard & Paul:It will be two years this coming December since you helped us locate and purchase our 285 acre mountain farm for our family retreat. In addition to saying THANK YOU, I thought I might summarize how you have helped over the course of project. First, to let your prospective clients know I’ve dealt in real estate for over 50 years and have a high degree of skepticism when dealing with realtors. I can truly say you and your son are the most professional , helpful and friendly individuals I have met in the industry. Not only did you show us properties listed by other realtors, you did so without pushing your own listings. 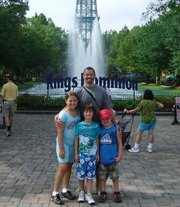 You understood very well what we were seeking for our family retreat and discussed with us the pros and cons in meeting our goals. 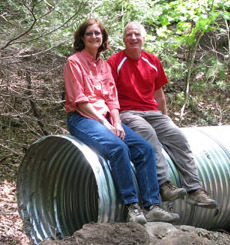 Equally important has been your continuous help since purchasing our mountain farm. You put us in contact with our builder, Melvin Young, who has remodeled our farm cottage, built our three bay tractor barn and is in the final stages of building our very large timber framed retreat home further up the mountain. Melvin has been great to work with and has become a personal friend. You did a great job of marking out the over 4,100 foot roadway up to our new home up the mountain. 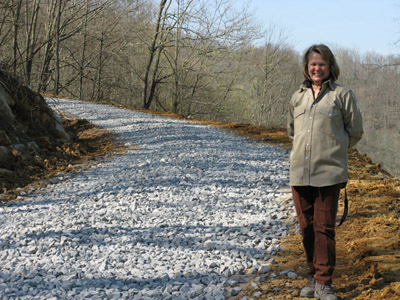 Your help in arranging for Paul Sears to cut the new roadway and finishing it with stone was great. Paul also has been great to work with and has been very helpful. You arranged for our well driller and even located the spot to drill for water. While I’m still a skeptic of your well-witching guy who located the spot for the well, it worked. Getting the local utility company to respond to our needs was enabled by you. So in closing, for those seeking a great honest realtor and someone who can and will stay involved to help, I highly recommend Foxfire group. I am located 7 1/2 hours away (driving hard) and couldn’t have got the project to this stage. Many thanks. When we decided to purchase land in West Virginia on which to build our retirement home, we searched the Internet for available land for sale. The search led us to a number of sites, but only Gofoxfire.com caught our attention enough to contact the agents. We read about Richard and Paul’s commitment to land management and resource preservation and thought that their conservation philosophy was closely aligned to ours. After meeting Richard in his office, we knew that we had found a partner to help us find our piece of Almost Heaven. Two weeks later, we closed the deal and received the deed to our new property. 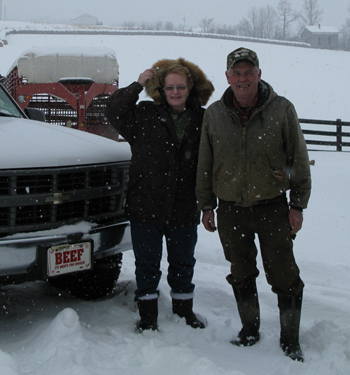 Throughout the purchasing process, Richard was helpful, patient, and willing to answer any questions we had about the land, Greenbrier County, or living in West Virginia. We are excited about our purchase and look forward to working with Richard to prepare the land for building. Despite the fact that we live overseas, we knew that Foxfire Mountain Properties would manage our purchase with care and attention. We highly recommend anyone looking to buy property in southern West Virginia work with Richard and Paul Grist. Richard & Paul,Thank you so much for your quick effective work in marketing and selling our Property just outside of Lewisburg. You are so knowledgeable and offered us excellent advice that ultimately allowed us to sell our property in a very timely manner. You were always very responsive to our questions and an absolute pleasure to work with. We very much appreciate your partnership and would highly recommend you to anyone looking to buy or sell property in that region! 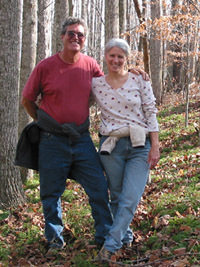 We recently purchased land in W. Va. through Foxfire Mountain Properties with Richard Grist and Paul Grist as the Agents. What a wonderful experience!Richard was the selling Agent on the property and we quickly found it unnecessary to have our own buyer’s agent, as we found Richard to be honest and extremely helpful. Richard provided us a local surveyor and excavator with whom we also experienced friendly professionalism. We would certainly recommend Richard and use him again. Richard Grist and Paul Grist listed a farm for me in January 2010. In January of 2011 the farm sold, which I thought was excellent with the economy as it is. 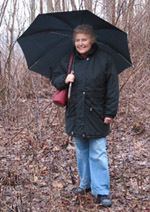 The farm was listed in the local real estate magazines as well as on several land and farm websites. The pictures of the farm were great.There is a large cave on the property and Paul and Richard even went down into the cave and took pictures! All the terms of the contract were met and I was very happy with the service Paul and Richard gave me. Dear Richard Grist and Paul Grist,Nearly a year ago I was “charged” with the responsibility by one of my most valuable real estate clients to get his property in West Virginia SOLD. Knowing how I am from a standpoint of professionalism and all the attentions to detail to be recognized as a professional, I began my search for that special real estate person, if he or she existed in West Virginia. I just want to say to the both of you, I accomplished my mission when I recommended to our now mutual client, that Foxfire Mountain Properties was the company of choice. Your patience in dealing with the listing and on going negotiation, your supplying of all pertinent information specific the the listing and zoning issues was perfect and yes, the special touch of the never ending pictures of the site were welcome mainly because they displayed attention to who we were and the realization that we weren’t forgotten nor our listing taken for granted. Dear Paul and Foxfire,We want to take this opportunity to thank you for helping us fulfill my husband’s dream of returning to his roots in West Virginia. Your knowledge of the vistas in the area were very impressive and really helped to expedite the process of finding the perfect “get away” for our enjoyment. We love hiking and exploring the endless seasonal opportunities! We continue to be impressed by how you are still offering your knowledge and help, as we continue to become a part of the Asbury community. “Just like a Good Neighbor”. We truly appreciate your friendship and look forward to our visits each time we are in Lewisburg. Dear Richard and Paul:I wanted to express my deep appreciation to you both for selling my 100+ acre farm in Pipestem, WV. This farm had been in our family for well over 100 years, so it was an emotional journey to go through with the sale of the property. However, you provided professional guidance that was much needed. Foxfire Mountain Properties was highly recommended by a previous customer of yours that enjoyed a positive sales experience with your staff. I have always heard the best advertising is word of mouth and I can honestly say that I experienced this first hand with the sale of my farm. Richard, I found you to be most knowledgeable in your field, and you were always willing to go the extra mile. I always felt that you kept me informed of all the necessary details. It will be my pleasure to highly recommend Foxfire Mountain Properties to any potential client. Through this process, I feel that I have not only sold my property, but have acquired new friends. Our family farm had been inherited by ten siblings. We were all aging and made our homes in several different states. After a few years of decision, all the family got together and agreed to sell the old home place, even though with great hesitation.We read all the referrals on Foxfire Mountain Properties’ website from past clients and agreed to select them over several other realtors. We were not disappointed. Richard and Paul Grist met all our expectations. 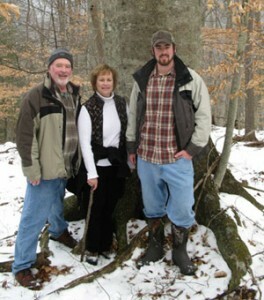 Our family highly recommends Foxfire Mountain Properties. Richard and Paul, as we experienced, can be trusted, get done what they promise, keep their clients informed, work very hard to expose the sale of your property and still maintain a friendly relationship with you and the buyer. All the family members consider Richard and Paul friends and are very happy with their hard work and eventual sale of the family home place. We had always wanted to buy some land for a refuge from the hectic pace in Northern Virginia. One day while surfing the web, I came across a website that was professional and had a wide variety of beautiful properties. I bookmarked www.foxfirenation.com and would check it every couple of months, just for fun. In the fall, I checked the website and saw the perfect piece of property with everything we wanted.When we contacted Richard Grist, I was immediately impressed with the knowledge he had of the property and its history-there weren’t any questions he couldn’t answer. His patience was infinite as we made appointments to go down to look at the property and he was more than willing to spend several hours each time walking the property with us and answer our questions. His style is very low pressure, making the whole process so much more pleasant! We are looking forward to years of enjoyment for our family at Laurel Creek Farm as did the family who owned it before. Living eight hours away in NJ added challenges to buying retirement property in WV. Such an endeavor could make for a very stressful situation, however the purchase of our property at Asbury Trace in Lewisburg has been an extremely positive experience. 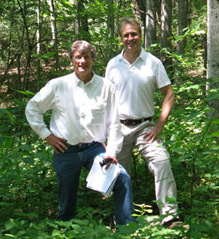 Richard Grist and Paul Grist of Foxfire Mountain Properties are largely responsible. 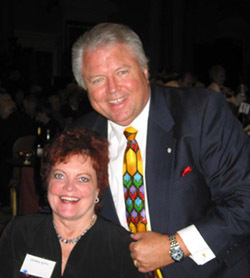 They possess an honesty and integrity that is comforting and reassuring during a real estate transaction that involves not only a substantial sum of money but also a new life in a totally new town and state.The amazing thing to us was the amount of help and information Richard gave us after the transaction was over. Many times we have consulted him for advice on road builders, well drillers, and house builders and found his enthusiastic willingness to help and his referrals much to our satisfaction. We could go on and on about Richard and Paul’s competence and unassuming nature but will only add that upon meeting these folks, you will not have any doubts about putting your real estate needs into their hands. These are people who stand behind their words. We will be moving to Lewisburg in the near future and will be proud to count Richard and Paul among our new friends there. 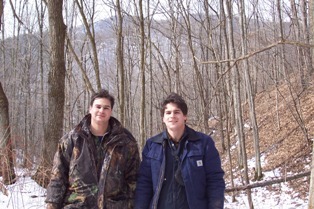 What can we say about Richard Grist and Paul Grist of Foxfire Mountain Properties? 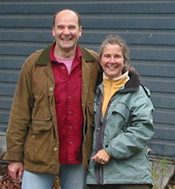 My husband and I owned a family farm for 25 years. The property had been owned by my grandmother for years, and she died at the ripe old age of 96. We always said that we were there for the “duration”, but things change. It was a very difficult decision to sell. Once deciding that this was what we needed to do, the next step was who would help us with this process. At this point we only had one name on our list and this was Richard and Paul Grist. After meeting with them, it was easy to sign and let them do the rest. Richard was very in tune to our feelings, knowing how difficult it is the sell a family home. We both would very much recommend Foxfire to buyers or sellers of property. Dear Richard Grist & Paul Grist,One of my greatest concerns before putting my farm, Serenity Crossing, on the real estate market, was that the land would be sold and divided as a housing development. I am most pleased and content to say that this did not happen. It is a delight to see the person who purchased my farm desire to preserve, protect, and not split or divide this piece of property that was loved and nurtured for twenty eight years during my ownership. This small chunk of West Virginia land gave more to me than I could have ever possibly given back to it. All memories that unfolded on this land are treasured memories. Thanks Richard & Paul, for finding someone to continue the legacy of love of land and nature. 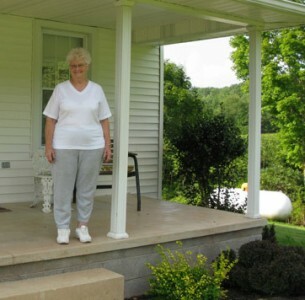 My mother and I would like to take the time to thank you for the sale of our property in Nicholas County West Virginia. From the first day I walked the property with Richard I felt he would have no problems selling our 100+ acres. We had listed our property with other realtors in the previous years before we were introduced to Foxfire properties. Not only did Richard sell our property I feel that we have me a friend for life. The sale of this property helped my mother with the long term care of my grandmother. For this I am very appreciative to Richard. Richard is good at what he does and I would highly recommend him to anyone buying or selling properties. 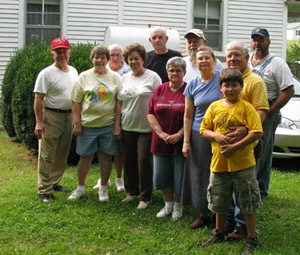 I contacted Foxfire Mountain Properties after reading the testimonials of others on this page. 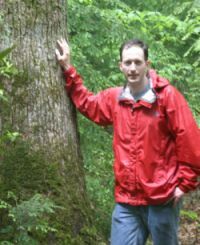 I spoke to Paul, he understood exactly the type of forested recreational property I was searching for and then I met Richard for a look at a 300 acre property near Summersville. During a four hour hike through sun and rain he was indefatigable and I was impressed with his knowledge.This was our first land purchase but I doubt one could close more smoothly- Richard facilitated the deal at every step and never missed a detail. He promptly and cheerfully answered a multitude of my phone calls and e-mails. Richard also has an amazing range of contacts. 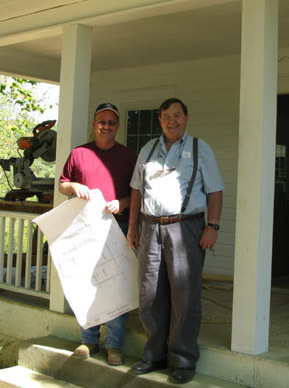 He helped me find foresters, surveyors and a title attorney before closing but has continued to help me well after the seller paid his commission. He recently got me in contact with the expert trail builders at Snowshoe and he is currently helping me arrange a hunting lease for the property. My wife asked, “Can Richard be for real?” He is. I found everything that others had written in his support to be true. I am extremely pleased with our purchase, and just as so to have met Richard Grist. Our family has wanted to move to West Virginia for some time, and you played a very significant role in making our dream a reality. I can not think of better representatives for West Virginia. You are terrific ambassadors who, individually, reconfirmed why we want to and are moving to your state. You made the purchase of our properties a lot of fun and very easy. Your diligence and attention to detail helped us satisfy all of the IRS provisions for completing a complex 1031 exchange. With attentive communications; comprehensive reviews of available properties; efficient scheduling; and a willingness to dedicate a week to showing us properties that fit our interest and criteria, you saved us considerable time. Your experience with forestry and lumbering helped us assess property strengths and weaknesses and allowed us to create optional sets of property that met our interest and exchange criteria. You are the reason that we were able to execute a complex closing with multiple parties, properties and transactions, in a small window of opportunity. With your help, we were able to essentially eliminate any capital gains from the transactions and, most importantly, achieve our dream: to buy property and live in West Virginia! Lastly, I have never met a broker who, like you, has continued, after the sale, to maintain contact, check on our property and provide valuable information and contacts that have helped us ready our property for occupation. Please accept our most sincere and heartfelt appreciation for your professional help and most of all, your friendship. It is nice to work with a real estate broker who will actually put on a pair of boots and show you the property that is for sale. Richard and Paul had made very detailed maps and knew where we were the entire time we were looking at the property. 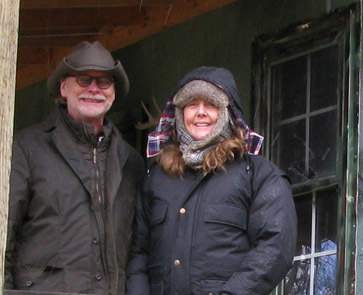 Their knowledge of the property and enthusiasm for the land made it an easy decision for me to go ahead and purchase.I first met Richard years ago when a friend recommended him to handle the harvest of my timber on approximately 300 acres. We use this property for hunting and outdoor recreation and Richard did an excellent job of producing the timber income while leaving the property in top notch condition. Thanks to Richard’s experience as a professional forester, his timber harvest plan left a great network of new trails that made our property much more fun to use as well as more valuable. If you are looking for a company to work with that understands recreational property, you won’t go wrong with Foxfire Mountain Properties. 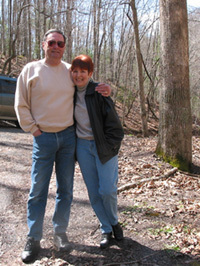 My wife, Liz, and I were visiting West Virginia in the summer. We were looking for some rural property for a summer home and for a refuge from the hurricane seasons in our home state, Louisiana. 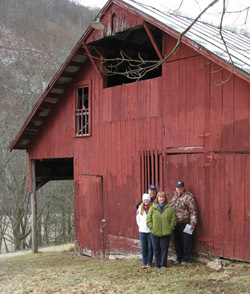 Richard and Paul Grist showed us a piece of property in Greenbrier County and we fell in love with it, immediately. Richard’s advice as a farmer, forester and realtor was invaluable in helping us make our decision to purchase this property. This little piece of heaven is now ours and we look forward to the day when we can spend much more time there with all of our new friends in WV including Richard and Paul. Probably the most enjoyable purchase I’ve ever made is the nominal 11 acres that you sold me near Asbury last year. You made it so because of your integrity; integrity being that mixture of knowledge and honesty. I didn’t know the Greenbrier County real estate market when I made my purchase, but I knew enough about real estate to know a darned fine broker when I met one. Your near-immediate earning of my trust enabled me to bypass all the time I normally spend in a new market to learn it myself and move directly into the purchase phase. You saved me several weeks of time & and time is definitely money to me. Since my purchase and because my business is now centered in Las Vegas, Paul has taken the time to keep me informed about the status of my property. That’s done two things: saved me time and money and engendered the desire on my part to keep my relationship with you over the long-term. So, to you both I say thank you. You are among the very finest brokers in the country, and that includes markets in which the participants consider themselves very sophisticated. Your hard work and dedication to your clients will create all the luck you need to make your new brokerage a success. I can only thank you both for the outstanding service given to me and hope that we’ll do business again. Having recently purchased a tract of land through Richard and Paul, we are pleased to recommend their services to other potential buyers. They are knowledgable as well as professional. Richard devoted his time to us regarding every aspect of our transaction. No detail was too small, calls & emails were answered promptly, his follow-ups stayed with us through to our closing. Are we satisfied customers? — you bet! It is not too often that a person says “WOW” about a real estate buying process. But anything less would not express our sentiments about the attentiveness, professionalism, genuine caring, and ability to solve problems that Richard Grist exemplified during our purchase of 350 contiguous acres from two different sellers. Richard was extraordinarily familiar with the boundaries, features, assets, and potential of the real estate we were buying. His thoughtfulness in sending beautiful pictures of indigenous wild flowers in bloom and other beautiful scenery on our mountain land helped to close the geographic gap between our property and us during the buying process. From viewing the land in the beginning, through negotiating contracts and finalizing the transaction, Richard facilitated our process like it was his own. Not only is his integrity, professionalism, and diligence in ensuring a smooth process unparalleled in our experience, he’s also a genuinely nice guy! We would recommend Foxfire Mountain Properties without hesitation to anyone looking to buy real estate. We were walking down the street in beautiful Lewisburg, and saw a sign on a storefront that caught our attention. 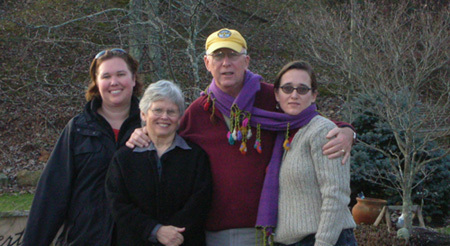 The decision to go into Foxfire Mountain Properties changed our lives. We had driven around many states looking for a special piece of property, and by chance drove up Route 219 through Union and Lewisburg. We went in and met Richard Grist, who answered our many questions and told us about the area for over an hour. We asked if he could show us a property, and we ended up buying exactly what we were looking for that day. We feel that the generous time and effort Richard made to help us, when we had shown up unannounced, made the whole process easy, and we will always be grateful to him for leading us to our beautiful farm. 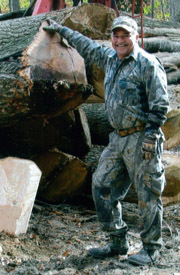 Richard is very knowledgeable about Greenbrier and Monroe Counties, and his timber business has given him a special perspective of the land and history of the area. It was a pleasure dealing with him, and his direct and genuine manner was a wonderful introduction to Lewisburg. He is a real gentleman, and most important, has become a friend. Foxfire was very helpful throughout the entire process. They were very quick to understand our likes and dislikes and the kind of property we were looking for. Their knowledge of the area and the property helped in answering all of our questions. Foxfire’s combination of professionalism and a personal touch made for a very good experience. It was a pleasure to work with Foxfire on finding the property we had been looking for. 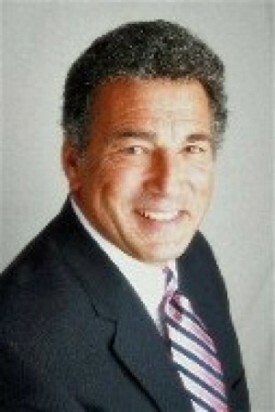 I’m pleased to recommend Foxfire Mountain Properties to anyone seeking a professional and trustworthy real estate firm. 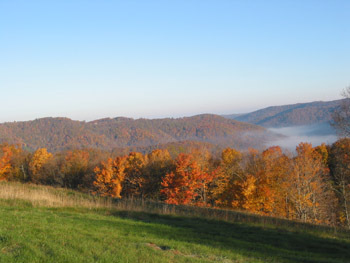 As a land developer in Southeast West Virginia I have been greatly rewarded by my association with Foxfire. Whether locating good value for purchase or maximizing sales profit Foxfire has served me well. This firm deserves its outstanding reputation. We have had the pleasure of looking at various properties with Richard and Paul Grist and their organization, Foxfire. We have found Richard and Paul to be most accommodating and very knowledgeable about diverse types of properties in the region. We recommend their services, and believe that they provides their customers with a high level of integrity and professionalism. 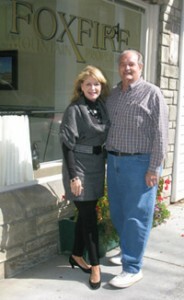 We purchased a property in Greenbrier County in the fall of 2006 that Richard had listed. From the moment we met him to walk the property, it felt as if we had known him for years. Richard and his son, Paul, were genuine in their approach. Richard’s respect for the land and knowledge of the surrounding area was evident from the start. Even though Richard was not our agent, he was extremely responsive to our questions and concerns. He went the extra mile in meeting with neighbors of the property to assure boundary lines and surveys. After the sale, he met with us to review the property and introduce us to local contractors, and even facilitated us meeting our new neighbors. A main selling point for us was knowing that we would be surrounded by neighbors like Richard Grist.